A surprising news emerged these days: Installous, an app for jailbroken iPhones and iPads that allowed users to install pirated apps for free, has been discontinued due to lack of enough user interest. Does that mean that people have started spending more money on apps? Is this a sign that app piracy is in decline? While the end of Installous sure is a win for developers and publishers, we feel this is a perfect occasion to share some of our thoughts with regards to app piracy as a whole. You've probably noticed that the title says "the good," as if there's something good in software piracy. This is a very complex topic, and while we're not the ones who'll defend piracy, or completely anathematize it, we'd still say that in some special cases, it's better to have it than not. Simply put, modern app stores do not have proper trial/demo version policies. It's up to every developer to decide if they want to provide some kind of a demo or limited version of an app or game, so what are users supposed to do with those apps that only have paid versions? Well, you're obviously supposed to buy it, and then decide if you like it or not, which isn't very cool, as many of the apps or programs out there are of very poor quality, and it's not always guaranteed that what you buy will get the job done for you. This is probably the biggest value in app piracy - try before you buy. To be honest, it seems to us that many of the developers that aren't providing free trial versions are simply aware of how mediocre their app is, and know that they would get much less purchases should they offer a free version as well. By only offering a paid one, they hope that users will decide to purchase their app, hoping that it won't be bad. Well, if you're downloading paid apps to your smartphone relatively often, then you've surely felt that feeling of dissatisfaction when you've purchased an app or game that turned out to be below your expectations. That's how it is right now when it comes to purchasing apps, and in case the developers aren't kind enough to offer free versions along with the paid ones, we'll be forced to take those small leaps of faith. 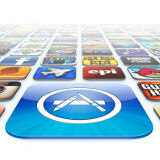 As much as we try, it's hard for us to find any other good side of piracy, as long as we're talking about mobile apps. If we add desktop software to the subject, we may add another good thing to piracy - it lets you learn to work with a program without having to shell out serious cash. Of course, you can always get a job, save money, purchase the expensive software and then learn it, but why don't more companies provide special "student editions," which will let you learn the basics, but have limitations that will prevent you from using the program for anything else? Anyway, enough ranting! The bad thing about app piracy is quite obvious - developers aren't getting the money they deserve for their hard work, preventing them from creating even better apps, or even worse, from staying in business. While this causes the whole app industry to suffer, there is another negative side to pirating software - people can't really appreciate the value of the stuff they "own," because they simply don't own it. We here at PhoneArena believe that if you want to receive something, you also have to give something in return... except for when you're receiving a gift. But let's get back to Installous for a moment. For those who don't know what Installous is (was? ), it's like a third-party app store for jailbroken phones, which grants access to all apps found in the official App Store, for free. It was very well made and easy to use, it even had a good-looking user interface to keep things clean and tidy. However, although it was a great software achievement dressed in fancy clothes, it was also utterly corrupted - same as every other pirate store. Stealing from developers and giving it to consumers... but why? It's very easy to turn the "try before you buy" mantra into "You paid $2 for this app? You mad? I get mine for free from Installous." All of this is so seriously wrong. Of course, a lot of measures can be taken that would reduce app piracy, but here's one that we can propose: app stores should force developers to offer free trial/demo/lite versions of their paid apps. This way "try before you buy" will no longer be a reasonable argument, and it will also make some developers think twice about trying to sell you a sub-par software product. After all, it's not the users who are guilty for the poorly-drawn graphics, or lack of audio, or bugs, or something else. At the end of the day, we're happy that Installous is down, but as you may already know, there are still other ways to get pirated apps on any operating system. And this will probably be so until we learn to appreciate the things we have, and some fundamental things get changed in the way most developers and publishers make their business. Really? Why would you work around paying for something that developers took time out of their day to make for you? They make a quality product for you that you enjoy, all they ask for is a few bucks in return for their work, and you basically give them the middle finger and cheat them out of their profit. Hell will freeze over the day you have to pay for something that someone worked hard on, huh? If you don't want to pay for it, don't use it. I wasn't saying "you" as an individual, but "you" as a group of consumers. And the certain group of consumers that pirate apps, the group you're apart of, is the soul reason why devs don't want to make more products for the people who actually PAY for their stuff. How does it feel to be apart of the douche group that ruins it for the rest of us? It's your fault that Android doesn't have as good of dev support as iOS. While I don't particularly care one way or the other about software piracy (and I am a developer), it seems clear that on some level it is stealing. Nonetheless, to blame this guy or as you say, the group of consumers represented by this guy for a lack of good developer support for android is ridiculous. 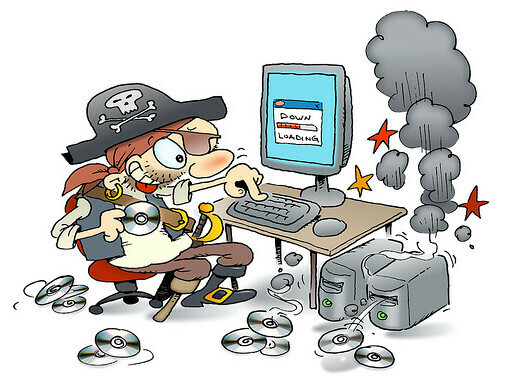 That has been the swan song of the software industry for as long as piracy has existed. There is no difference to them if a person pirates their software or just chooses not to buy it. To assume that someone who pirates something would otherwise buy it is specious. There is a market for everything and it is the developer's job to understand the market and tap into it. It turns out that there is a correlation between the types of people who pay for apple products and the types of people who are willing to buy lots of apps. This shouldn't be surprising as apple products tend to be luxury oriented. They tend to be polished, pretty and sold at a price premium. People willing to pay a premium for a luxury product tend to be the people who don't mind forking over a few bucks for an app. So to blame this on piracy is ludicrous, it is simply the market segmentation of the cult of Apple. Steve Jobs once famously said, "A lot of times, people don't know what they want until you show it to them." Google's mission statement on the other hand is, "to organize the world’s information and make it universally accessible and useful." Apple is about telling you what to buy and their consumers listen, Google is about making the world freely accessible. You can guess what type of person is attracted to each platform. The bank is probably the worst place somebody can ever put their money. Yes you are only one person but when everyone thinks like this then no one pays for anything. How tight must one person be to not want to pay 50 to 99p for an app/game. It costs more for a can of coke. it is only twice a year, what if you wanna play a game so badly but you've to wait months ? Then you either pony up some credit or Play something else and wait till there is a sale. I actually dont pirate apps because im cheap and i dont want to pay for them, but because the app stores dont allow the credit cards used in my country so if i want an app, i have to pirate it. What you saved developers lost, sad. Lets hope everyone doesn't go the route you did and said developers have to go out of business. So you can justify paying hundreds of dollars for a phone or tablet but not an extra 30 for great products such all those you listed..
Lol ! This Music example is awesome !! I have ripped apps for years , I have over 20,000 apks stored on my tablet that I blue tooth over to phones. I originally purchased the app, saved it to the SD card, then pushed it on to other devices I had or my friends had. Some of these apps are from GameLoft and they can be pretty expensive. Of course the app is no good after they run a mandatory update, and they figure out you didnt pay for it. But I dont see the harm, the MAJORITY of people out there dont root or jailbreak...so this is really a small issue. I just sent myself your email in case PA strikes your comment - and, THEY WILL!! Personally, on the Installous front, if Apple made good phones in the first place or a good OS there wouldn't be a need to Jailbreak and install it. People just need to fix their iPhones since they come severely handicapped from the factory. You make a terrible example out of pirates. I support piracy, it really depends on seller. ie. Gameloft games go for $0.99 couple times a year, don't pay anymore than that. When they ask for over 100% of its lowest, it deserves to be pirated. People don't smoke for free unless you're a bum and bum cigarettes of others. Stealing apps instead of paying for them is more like stealing cigarettes and justyfing it by " well they are bad for you anyway so why should I pay for them"
You really gotta put yourself in the dev's position, imagine you work hard to make a really good game or app and people end up pirating it. You would be genuinely disappointed plus piracy is what drives devs away from a certain platform. I'm pretty sure that devs mostly care about how many people buy their app, not how many people pirate it. Blaming poor sales on piracy is simply a way for someone who made an uncompelling app to feel better about themselves.